A year has passed since Blue Water Divers joined the Pack for a Purpose project and visitors to Grand Turk have been delighted to participate! We received our first donations from Kevin and Drew Ayres on May 13, 2014, and Shaleza Rouse and her family on May 29, 2014. 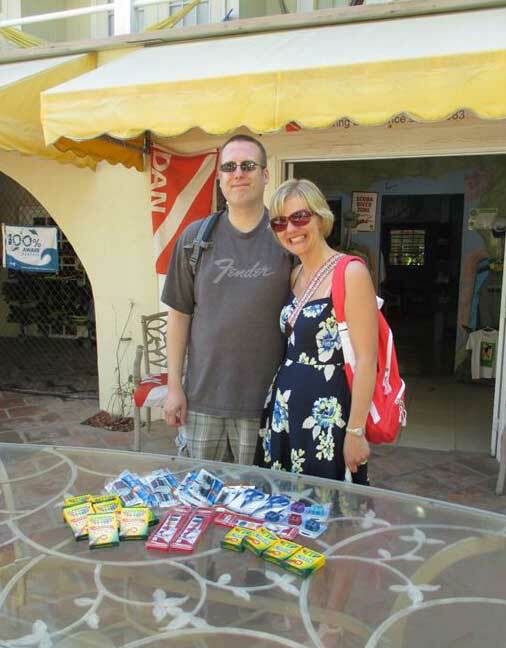 Since then, 24 more guests and their families have generously taken school supplies for the Eliza Simon’s Primary School on Grand Turk. 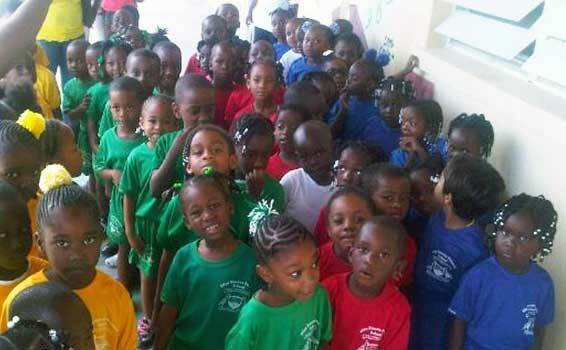 The Eliza Simon’s Primary School is one of two government schools on Grand Turk and is attended by about 240 children between the ages of 4 through 11 years old. Blue Water Divers has been adding pictures of guests with their donations to our Facebook page in an album. This helps to promote the project, and many visitors taking donations have commented that these pictures demonstrate how easy it is to give something, no matter how little space you have in your luggage. 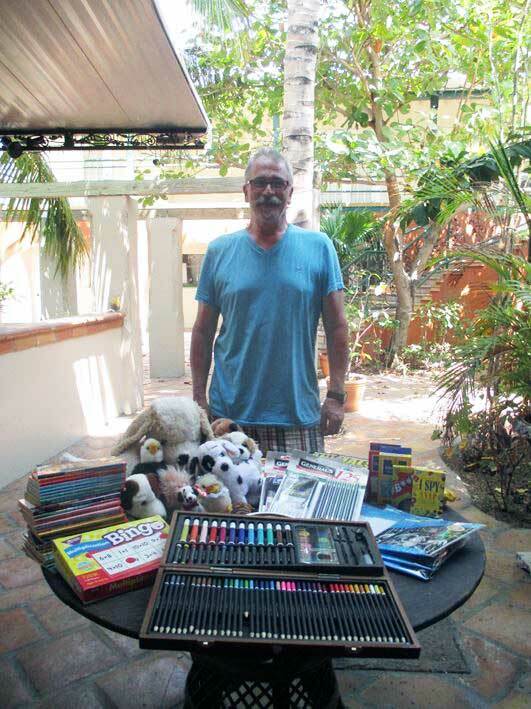 Robin Gardner came to dive with us in April 2015 and took with him books, art supplies, stuffed toys, writing paper, games, jigsaws and puzzles weighing a total of 16.53 lbs. He said that when he mentioned to store owners in Canada the reason for his purchasing school supplies, they gave him a discount! Everybody loves to help, and it’s so simple! You don’t have to be a customer of Blue Water Divers to give your gift to the Eliza Simon’s Primary School. Aaron and Robin Keene took a moment out of their vacation by cruise ship to pass by the Blue Water Divers shop to drop off their kind donation. Just send an email to info@grandturkscuba.com to let us know your arrival date and receive details of where to find us on Grand Turk, and we’ll deliver your gift to the children. We thank you for your support of Pack for a Purpose!